It is extremely easy to play real money casino games on mobile devices, including smartphones and popular tablets. There are hundreds of quality mobile casinos available, but there are only a few that truly set themselves apart from their competitors. This article will highlight the best mobile casinos and downloadable native apps available to online players, with games available for free play and real money bets. We explain how to sign up and make a deposit at the leading mobile casino sites. While all the casino sites we endorse come highly recommended by us, there are a few standouts that we find ourselves returning to time and time again. It’s a tough call, but these mobile casino apps get our vote for the best this year. 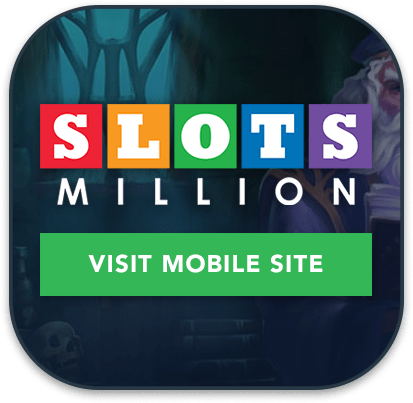 If you’re reading this on your smartphone or tablet, tap our app buttons below and you’ll be taken directly to the mobile casino site where you can play directly over your Web browser or choose to create your own web app. House of Jack: House of Jack is a relatively new online casino but the venue has already found a loyal band of followers. 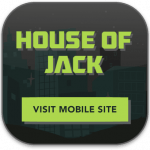 House of Jack draws games from a variety of software providers and has several titles available on mobile that are hard to find elsewhere. Some of the bonuses and promotions available are also outstanding. Visit the mobile casino, or read a full review of House of Jack Casino. Emu Casino: Emu Casino has been around for years now and the site has recently undergone some major improvements, especially to its mobile casino platform. At Emu you’ll find over 400 online slot games that have been optimised for mobile play, along with an impressive selection of roulette, blackjack, video poker and even live dealer casino games. 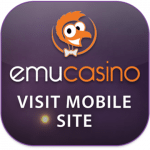 Visit Emu’s mobile casino or read our full review of Emu Casino. 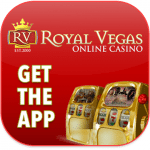 Royal Vegas Casino: A grand old stager, the Royal Vegas app is as solid as they come. Solely powered by Microgaming, this online casino has an outstanding reputation for prompt payments and player satisfaction. 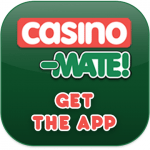 There are over 50 mobile pokies and around 10 table games to choose from over the native app. Visit the instant play casino or read the Royal Vegas Casino review. Leo Vegas Casino: There’s a reason why Leo Vegas continues to win awards for providing the best mobile casino site, and that’s because its mobile platform and selection of mobile casino games is truly top shelf. Here you’ll find hundreds of mobile casino games from several of the best software developers, with games all neatly presented in a cheerful, user-friendly format. 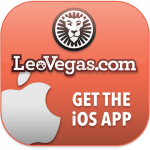 Visit Leo Vegas mobile site today or read our review of Leo Vegas Casino. Online casinos and the way we use them are constantly changing. In 2015 real money online gambling sites tell us that around 50% of all bets placed are done so from a mobile device. Online casinos are pouring more and more money into making the experience a positive one for consumers. Because the online casino industry is not regulated (depending on the online gambling laws in your country), the main providers of native apps Google Play and the Apple App store are unable to stock real money casino gambling apps. The one notable exception is Royal Vegas which markets a free play casino called Regal Vegas (download app) in both the Android and iOS stores, that gives you the option of playing at Royal Vegas after downloading. 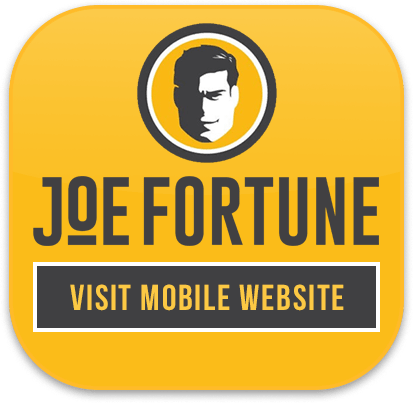 The main way punters play on their mobile devices is through a mobile version of an online casino’s main website, which are usually stripped back (less games) versions than the desktop version of their casino. Everything from live dealer games like roulette and blackjack to online pokies can be played via your handheld phones and tablets. Google’s Android – HTC, LG, Motorola, Samsung, Sony Ericsson. Apple’s iOS – iPhone, iPad and iTouch (all generations of each model). Microsoft’s Windows Mobile – Nokia-licensed smartphones and other devices. Older phones manufactured circa 2007 are also compatible with the above instant play mobile casinos; so don’t worry if you haven’t upgraded – the casinos recognise this. The Symbian operating system for Nokia phones and other older models hosting WAP technology support browser mobile casino games, so long as they have a data connection. This section will give you a run down of the pros and cons of native apps and instant play casino play through your handheld device, plus run you through some of the lingo you might run into. Choosing between the two distinct methods of enjoying real cash casino games via our phones and tablets (playing through our device’s Web browser, or installing dedicated software) comes down to personal preference. As Royal Vegas and Leo Vegas are currently two of the only casinos to offer an exclusive and legal market app available in app stores, many choose to play via their Internet browsers at other sites where no app downloads are required. Almost all mobile browsers are compatible with Flash, Java, CSS and HTML formatting – language specifically coded for the Web, enabling interactive features and intensive graphics and audio – and our casinos utilise this technology to operate their browser-based sites. Additionally, we can create Web apps of these instant casinos (browser applications which require no installation, and are processed through the Net), and these perform tasks just as a traditional market app does, while helping to save space. Also known as native apps, these have become so popular that the two most recognised application distributing markets – the iOS App Store and Google Play – have more than one million apps available on each of their platforms. Casinos such as Royal Vegas, in order to keep pace with the mobile industry, have created their own market apps, in tandem with their Web-based mobile platforms, to appease all customers – and they’ve done a great job of doing so, incorporating all elements of the casino (a range of diverse games, clear and secure banking sections, promotions, user account sections, and more). Make sure to check out our app page for more important information about mobile software applications. Most of the team at TopOnlineCasinoSites.com are Apple users, but a few are staunch Android operators. This author has had both at some point. For internet gambling both Android and iOS provide a seamless platform. Much comes to down to the screen size and let me tell you some of those big phones are fantastic to gamble on. Windows and Blackberry users might struggle to find a native app, but all the mobile casino websites will operate just fine. If we had to choose an optimum setup for mobile gambling I would have to nominate the latest Apple iPad, mainly because I’m currently in a Apple phase. On a decent 4G or WiFI connection the live dealer that is available loads seamlessly and streams effortlessly, which is currently the biggest test for an online mobile casino. But you will be equally pleased by the quality level on a number of different platforms. Withdrawals from online casinos can be done from mobile devices in some cases, depending on the casino you might find you have to do it from the desktop website. They take between 24 and 72 hours to hit your bank, depending on the casino. Worried about how safe your money is? Our casinos are all subject to consistent checks and reviews by leading gambling industry watchdogs, such as eCOGRA (the eCommerce and Online Gaming Regulation and Assurance body). As an accredited and established non-profit regulatory body, they monitor and evaluate online and mobile casinos to enforce and ensure that honesty, professional conduct and fair and responsible gambling are maintained. Sites recognised by the organisation are given the eCOGRA Safe and Fair Seal of Approval to display on their home page as a confirmation of their legitimacy. While eCOGRA began as a watchdog for Internet casino sites, they have recognised the jump to mobile platforms and are just as vigilant as ever in keeping players informed of a mobile casino’s legitimacy. All banking transactions are behind the veil of SSL encryption, plus they guarantee the safety of your fund while they have them, as long as you don’t go silly on your end on a dodgy internet connection, or something of that ilk. The format and experience between apps and instant play is very similar – we recommend players try both ways to determine which platform is best suited to your preferences; both have their general advantages, but most importantly, both offer high-quality gaming. We highly recommend Raging Bull Casino as the safest and best online casino providing support for players from United States, which offers a great mobile gaming platform with no downloads required.